Parking Permits are required on the Gilroy campus Monday-Friday. All vehicles parked on campus must display a valid permit. Gavilan College does not allow overnight parking without prior authorization. Vehicles left overnight will be cited or removed at owner’s expense. Permits are not required for Morgan Hill or Hollister locations. Purchase Parking Permits ONLINE! Semester Parking Permits can be purchased online through the new Parking Plus system. 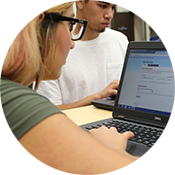 To access, log in to the myGav Portal, click on the Student tab, and click on the Parking Plus icon. Pay online and get your pass in the mail in less than a week! *Temporary printable permit are available at the time of purchase. You may print out a temporary permit to use while the official permit is in the mail. You will receive a confirmation email when you submit your order. Permit should arrive approximately 7 business days after the order is placed. If you receive Veterans Benefits or have 3rd party sponsors contact Mayra Cortez at (408) 852-2840 in the Business Office for special instructions. Students eligible for Fee Waiver or CARES may receive discounted price for permits. 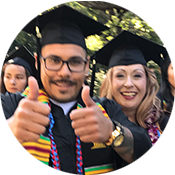 See Financial Aid or CalWORKS for more information. Students may park in marked spaces displaying a student permit in Lots A, C, E or H except where restricted to staff, disabled, or reserved spaces. Disability parking is available in all lots, and is restricted to those displaying a placard from the California Department of Motor Vehicles. Parking is enforced by the Gavilan College Security Department and local law enforcement. Failure to comply may result in monetary fines. Student spaces are enforced Monday – Thursday 7:00 a.m. – 10 p.m. and Friday 7:00 a.m. – 5:00 p.m. All other spaces are enforced at all times. Motorcycles may park free of charge if parked in specially designated motorcycle spaces available in parking lot A, E, and F. Motorcycles must display a valid parking pass if parked in any other designated parking area. Staff spaces are available in all parking lots. A valid staff parking permit is required to park in staff spaces. Staff/Faculty may also park in student spaces displaying a valid staff parking permit if no Staff spaces are available. Staff Permits are non-transferable. Staff Permits are initially issued to all new hires through the Human Resources Department. Thereafter replacement permits are available each Fall at Professional Development Day (PDD). Cashier's Office (Business Office) Monday – Friday, 9:00 a.m. – 12:00 and 1:00 – 5:00 p.m. Guest Parking Permits are not intended for use by students or staff, but for invited guests, visitors, and guest speakers only. Guest Parking Permits are available on request by contacting Security with the time, date, and name of your guest. The Security Department will issue your guest a permit upon arrival. If you would like to obtain the permits before your guest arrives, contact Security 24 hours before arrival and Security will deliver the permits to your department. Thirty minute parking is also available directly in front of the Security Building and the Administration parking lot (lot F). Parking citations are issued by Campus Security as well as local law enforcement. If you receive a parking citation, please read the appeal information carefully that is printed on the citation. To pay for parking citations or appeal online, please click here.